The rarest Buffalo Nickel is a mint error! 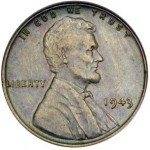 It was caused by a worker punching an “8” over the “7” on a reused 1917 die. This resulted in both numbers being visible on the coin. 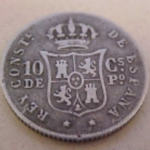 The error was not discovered by collectors until 1931, so most of the coins made it into circulation. Uncirculated pieces exist today only by chance. The overdate is rare in any condition, but is very rare in new condition. 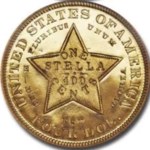 Prices range from $600 for well-worn pieces to $8000 for coins just slightly circulated. 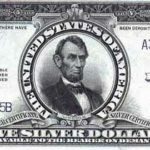 Some of the best uncirculated examples have sold for over $70,000 each. See the image below. Beware of counterfeits! Many bogus examples exist that have the date reengraved. 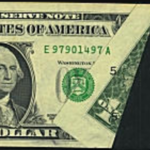 On all genuine overdate nickels, the top of the “8” extends halfway up into the horizontal bar of the “7.” There is also a tiny die crack just above the tie on the Indian’s braid. To be certain your coin is genuine, and to greatly increase its marketability, you should have it authenticated and certified as to grade by one of the independent third-party grading services such as the Numismatic Guaranty Corporation (NGC) or Professional Coin Grading Service (PCGS). You may submit coins directly to NGC if you are a member of the American Numismatic Association (ANA) or to PCGS if you join their PCGS Collector’s Club. You may also submit your coins through an authorized dealer. Is there an easy way to distinguish a double-die?